A lot of times we need to keep track of data from a device or a sensor located in a remote location from the point where it is processed. 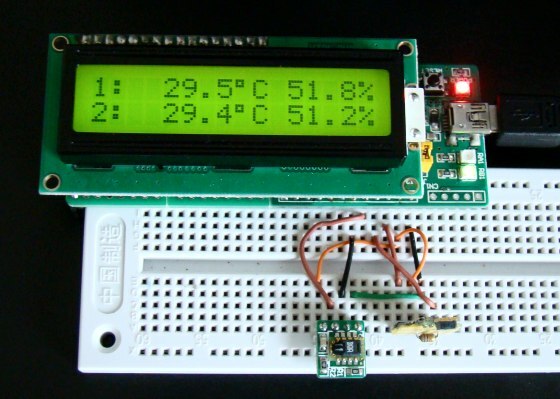 This article talks about interfacing low cost RF modules (KST-TX01 and KST-RX806) for transmitting data between two remotely located PIC microcontrollers. 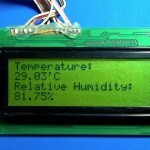 HSM-20G is an analog sensor for measuring temperature and relative humidity. 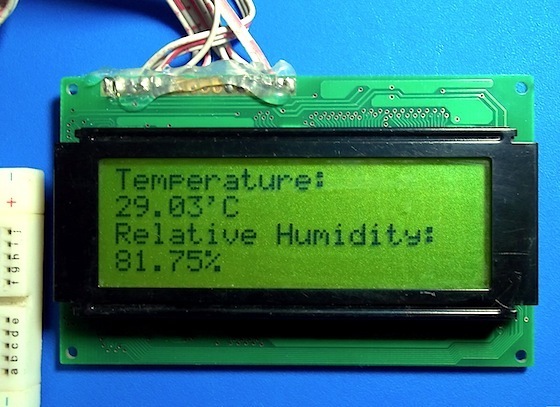 Learn how to interface this sensor with Atmega8 or any other microcontroller to measure these two ambient parameters and display them on a LCD. 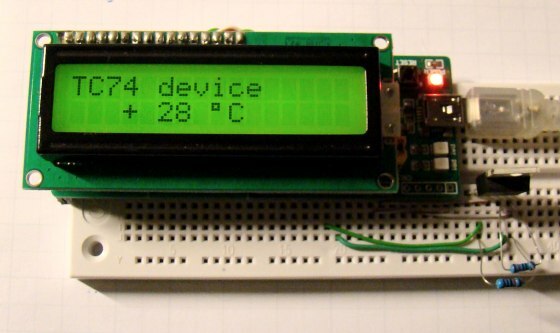 The TC74 chip is a serially accessible, digital temperature sensor from Microchip Technology that acquires and converts temperature information from its onboard solid-state sensor with a resolution of 1°C.This tutorial describes how to use the TC74 sensor with a PIC microcontroller to measure the surrounding temperature. The enhanced mid-range family microcontrollers are equipped with FVR (fixed voltage reference) module that generates a stable reference voltage internally. 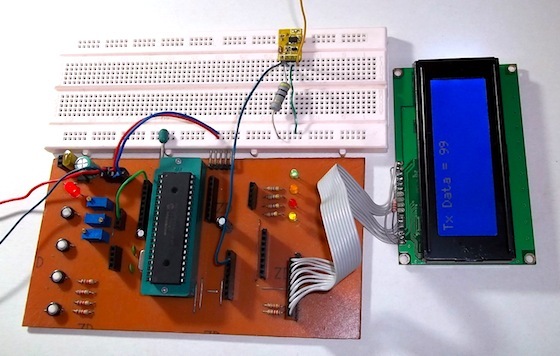 This tutorial describes how to use the FVR output as the reference for more accurate A/D conversion in PIC microcontrollers. 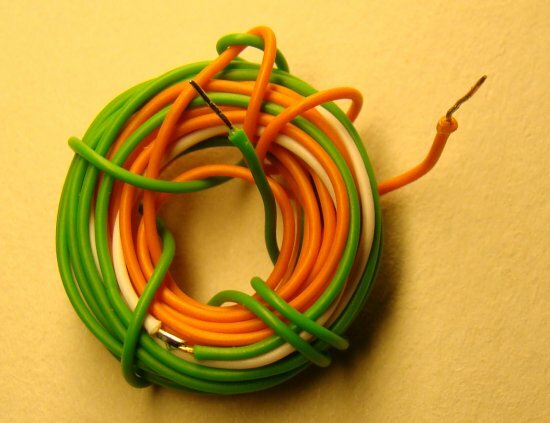 Digital potentiometers are replacing the traditional electro-mechanical forms in many digital applications. 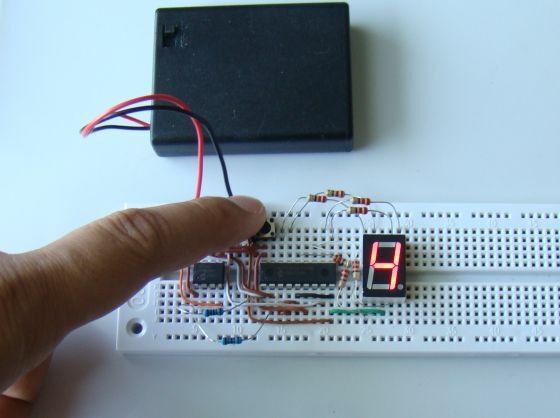 This tutorial describes MAXIM’s DS1868 dual digital potentiometer chip and its interface with a PIC microcontroller. 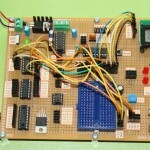 There are a number of ways of expanding the I/O capability of a microcontroller. 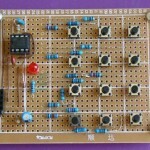 Use of shift registers can simply expand the output pins but they don’t have input capabilities. 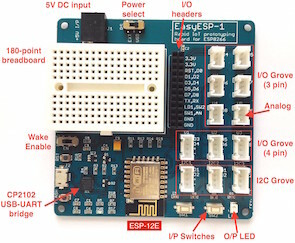 MCP23008 provides both input and output using 2-wire serial interface. 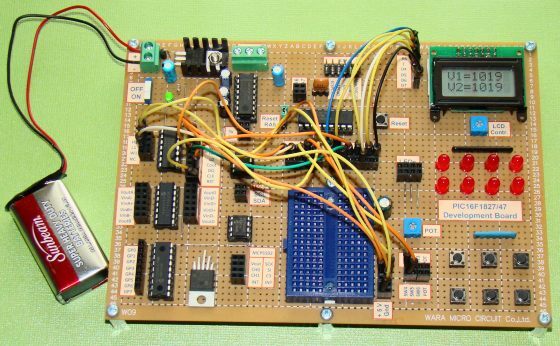 This tutorial illustrates how to add an 8-bit I/O port to PIC12683 microcontroller. 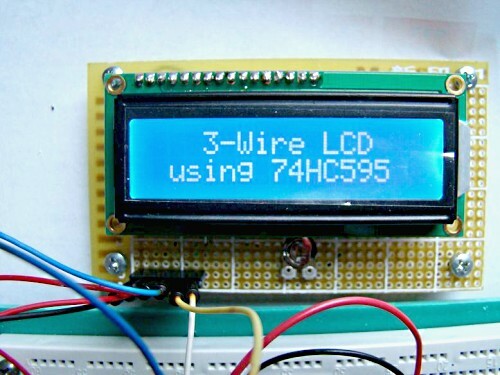 HD44780 based LCD displays are very popular among hobbyists. 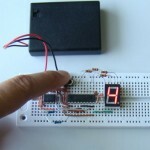 They require at least 6 I/O pins of microcontroller to interface. 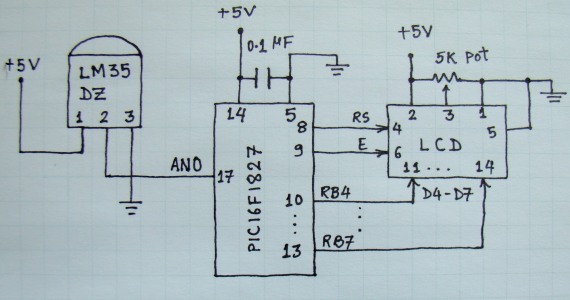 Here, we describe a technique of reducing the required number of pins to 3 using a shift register. 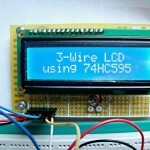 This allows you to include a LCD module to your 8-pin microcontroller based projects. 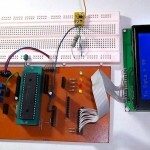 This article describes a technique of interfacing a keypad to a microcontroller using only two I/O pins. 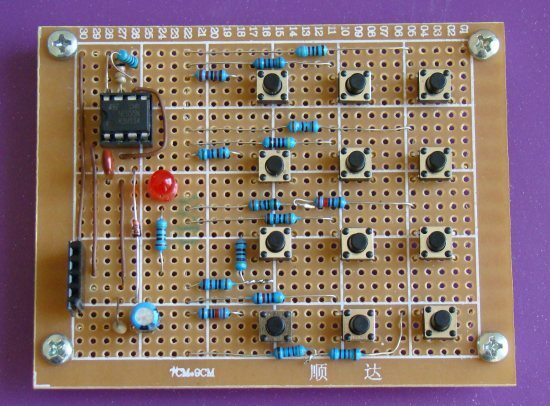 It uses a 555 timer IC configured as an astable multivibrator and pressed key information is retrieved from the frequency of oscillation. 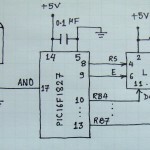 Microcontrollers usually don’t have specific ports for measuring currents, but they do have ADC channels through which you can measure analog voltages of a certain range. 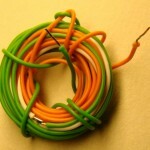 This tutorial explains a method of measuring DC current through a microcontroller’s ADC channel.